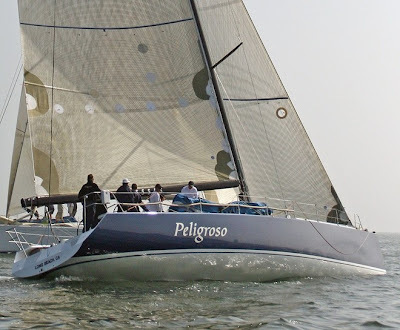 Doug Baker’s Magnitude 80 is leading the fleet with Mike Campbell and Dale Williams’ Peligroso 51 miles behind but in first place on corrected time according to Monday’s tracking reports in the Long Beach to Cabo San Lucas International Yacht Race. As of Monday morning, Baker’s maxi-sled was making 10 knots and expected to claim first to finish honors before midnight Tuesday. Meanwhile, Brack Duker’s Santa Cruz 68, Holua, retired from the race Sunday night after discovering their lower bearing on the rudder was disintegrating. Race information is available at: www.lbyc.org .